Should I brush my beard? Is there such a thing as over brushing your beard? How many times a day should I use beard oil? 1. How often should I brush my beard? As your beard grows, you need to spend some time grooming and brushing it daily. This is very important to maintain its shape and avoid flyaway hair, dandruff and other skin and hair issues. Ideally, you should use a good quality boar bristle brush to brush the beard. Take the brush and start combing it down the beard. 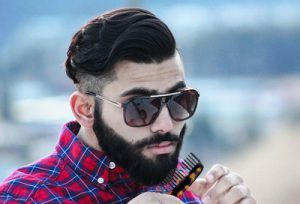 Depending on your beard’s length, you may want to section the hair so that you can cover all of it. While brushing, keep an eye out for longer hair. If some hairs are uneven in length, they may fall outside the brush’s bristles so you can trim them with scissors. The brush will also capture stray hair and dandruff if any. Go through the entire beard in this manner to improve blood circulation in the skin and reduce dandruff, flaking, and itching. 2. Is there such a thing as over brushing your beard? If you have the time, brush your beard at least twice a day, no more. You can apply some beard oil at night while brushing the beard so that the oil is evenly distributed throughout the hair. A good quality beard oil will keep your beard hair in top condition. It will also reduce the possibility of fungal infections and alleviate dandruff, stray hairs etc. Try to spend all day brushing your beard as over-brushing can damage it and create split ends. 3. How often should I wash my beard? There is no standard formula. If you have specific beard issues, then you might want to wash it daily. For example, if you have beard dandruff, then you need to use an anti-dandruff shampoo on the beard. Be careful not to use any harsh shampoos or cleansers for washing the beard. 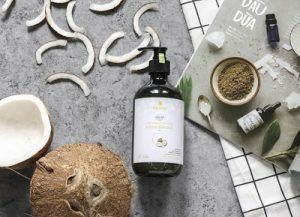 Doing so will only strip off natural oils and make your skin and hair dry. In most cases, washing every other day or every two days is enough to keep the beard soft, clean and fresh smelling. In between washes, make sure you use beard oil to moisturize the skin and hair and also replenish the oils lost during washing. 4. 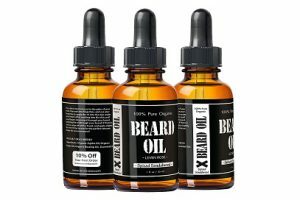 How many times a day should I use beard oil? A beard oil is best used at night before bed. However; there is no fixed formula. You can also use it during the day. Some beard oils tend to be heavy and greasy which might make them unsuitable for daytime use. However, lightweight beard oils may be used during the day to keep your beard smelling and looking great. In fact; using beard oils twice a day has many benefits such as protection against harsh weather conditions, keeping the beard in top shape, alleviating dandruff and fungal skin issues as well as also preventing stray or flyaway hair. 5. Should I comb my beard down or up? Beard brushing direction is another issue men wonder about, especially when they first start out. Combing a beard upwards can help you add volume and body to the beard. But it is not always a wise thing to do. The direction of beard brushing depends on the style and shape of your beard. For very long beards, you may brush from top to bottom and center to the side. It helps if you can divide the beard into sections. If you are using a comb, use the wider teeth nearer the skin and smaller teeth at the ends. Always use a good quality beard brush or comb for the purpose. Avoid plastic brushes which only electrify the hair and ruin its shape. 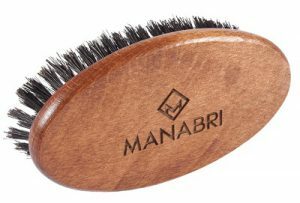 A boar bristle beard brush is best as it is anti-static, it gently removes stray hair and also prevents dandruff and other issues. 6. 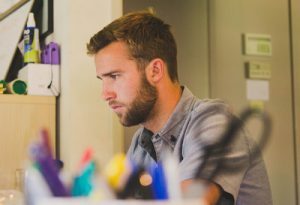 How often should I apply beard balm? 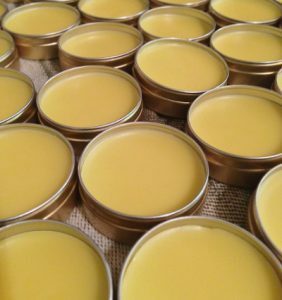 A beard balm has a waxy texture that, when rubbed into the beard, helps retain its shape, keeps the beard moisturized and also prevents dandruff, flaking, and itching. Beard balms, like oils, condition the beard deeply and protect it against moisture loss due to cold, dry weather. The best time to use a beard balm is after washing your beard. When you step out of the shower, pat the beard dry and then apply a few drops of beard oil on it. Massage the beard oil well into the skin and hair. Next, take a bit of the beard balm in your palms and melt it by rubbing your hands together. Run your fingers through the hair and shape the beard. The balm will retain the shape of the beard and you can use it once a day. 7. Do you always need to use beard oil and beard balm together? As stated before, there are no fixed rules. Beard oil moisturizes the beard while a balm will help you shape it. The advantage of using the two together is that the balm holds the moisture that beard oil adds to the skin and hair. Its waxy texture helps retain the beard’s shape. For men who are just starting to grow a beard, a beard balm may be unnecessary. For them, beard oil would be a better product to use twice a day. Apply the oil after showering and at bedtime. This will help the beard grow longer. Beard wax or beard balm is better for longer beards as it helps in styling and shaping and prevents stray/flyaway hairs. Brushing the beard a couple of times a day is necessary to remove stray, broken hair, improve blood circulation to the skin and also fight dandruff and fungal issues. That said; too much brushing could harm and damage the hair. It is best to brush twice a day-morning and evening- in order to keep the beard growing luxuriously. Hopefully, this brief guide to beard grooming has been helpful!